As you know, September is clivia month at Babylonstoren. These famous indigenous lilies flower during September, with the first blooms starting to show now. 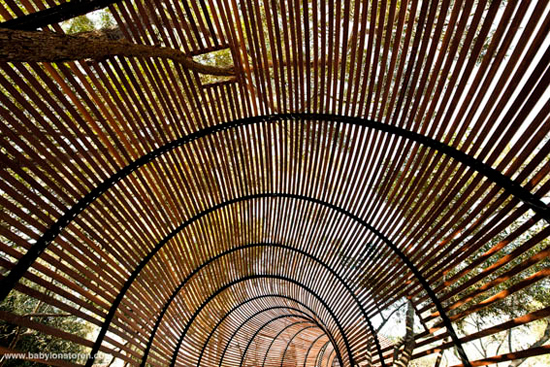 A shaded walk has recently been created at Babylonstoren for a recently-acquired collection of clivias. 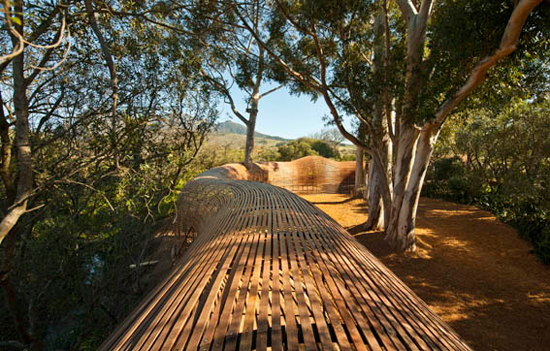 The walk – named ‘The Puff Adder’ for its shape – meanders for 70 metres along a stream emanating in the Simonsberg, and slithers through the wild olives and blue gum trees in our gardens. 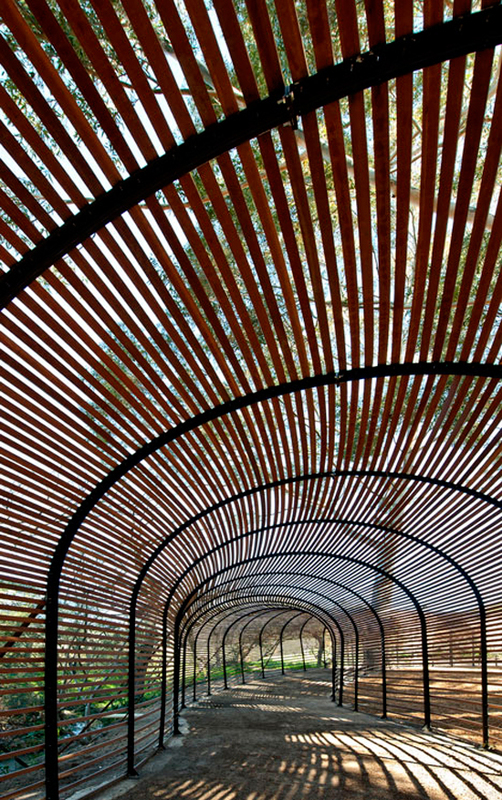 The structure of balau slats on steel frames, designed by Patrice Taravella and engineered by Terry de Waal, eliminates about 40% of sunlight but allows a free flow of air, creating ideal conditions in which clivias can thrive. The bulge in the slatted structure is known as “the mouse”, as it resembles a rodent in the belly of a snake. The clivia collection edges our formal vegetable and fruit garden, which supplies the farm hotel and Babel restaurant with fresh produce daily. 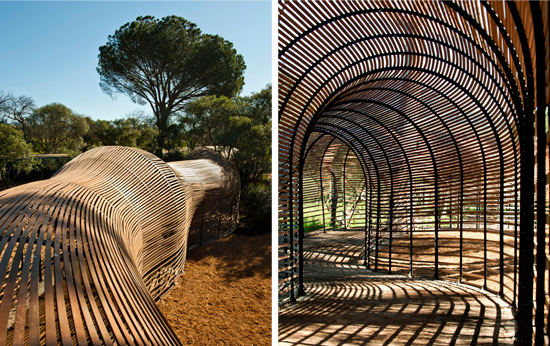 I visited Babylonstoren on Saturday and came home with, what I think, are some of my very best images this year! May I post my face book link to them as I would love to share these with people who also love Babylons’ gardens, and esp. the clivias, which I will look at in a whole new light from now on! Hi Frenske. We’d love to see your images! Please let us know when they’re up on Facebook.